Collecting China Miéville, Novels across the spectrum, a future high spot? Collecting books is rarely straightforward and simple. How to begin? Start with a favorite author, genre, type, age, class of books? What if collecting, as it generally is in my case, is closely associated more with reading and learning? Sure, I collect books but I also love to continue adding to my private library. I also read and sometimes buy books to experience a new author, the collecting follows. 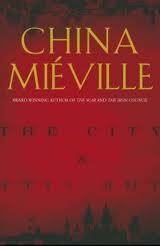 China Miéville is an author I am contemplating collecting. He is at the beginning of what appears to be a long career writing contemporary novels that are difficult to classify. He is more a traditionally defined "literary" author than a pulp writer. He experiments with various genres and refuses to be pigeon-holed into one or another style. He appears to be a character with a wide range of interests, voice and powerful pen. My first Miéville title was acquired sometime last year, a first edition, first printing of his 2010 novel, Kraken, Ballantine Books, Del Rey imprint, New York, 2010 (Tor UK, Pan Macmillan, London, 2010). I was following some blog or other and recall reading very positive review of Kraken, a tale of magic, cults, police, wizards and a giant squid set in a London of Mieville's imagination. When it arrived, I did some additional research and decided that Miéville would be an author I kept my eye on and I decided to read at least three of his novels before making a decision to collect or not. Unfortunately, Kraken remains in my stack of unread acquisitions and now, his next novel Embassytown , will publish this month and I have a copy on preorder. Ursula K. LeGuin, who deserves a collecting post herself, reviewed Embassytown for The Guardian and declares it a true, science fiction novel, worthy of potential classic status. A Miéville collection is underway and now, I decided that I should probably start acquiring, at least his first 7 published novels starting with his first. If I read the three title I will own, and like them, I'll carry and build a complete collection! 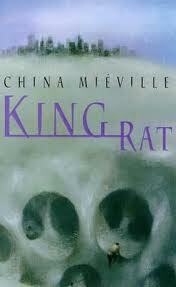 Miéville's first novel, a fantasy noir, was King Rat, 1998, Pan Macmillan, London, in paperback with wraps. There are very few true, first edition, first printings available and I admit to be taking a risk acquiring one before having read any of his novels but I am going to anyway. An example of collecting on the edge, since in this case, the reasonably priced copies are far away and will cost much to ship! The first American Edition was published by Tor Books, New York in 1999, a hardcover with dust jacket. In 2005, Earthling Publications of Northampton, Massachusetts released a limited edition 400 copies, hardcover in slipcase, illustrated by Richard Kirk and signed by the author. Over time, the Earthling Publication limited edition will be near impossible to acquire so the time to act is now! 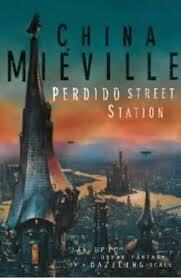 Perdido Street Station, Macmillan, London, 2000, the first novel of a three book hard edged fantasy series, New Corbazon was Miéville's, second novel. Available copies are expensive ranging from $120-$350! There is a chance that some Amazon sellers have copies for under $100 but the descriptions are terrible and I would not order a copy unless I could verify that it was a first edition, first printing and whether it was UK or USA. 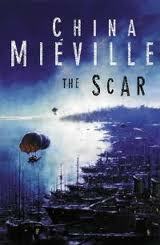 The second book of the New Corbazon series was, The Scar, Macmillan, London, 2001. Only a few copies are currently available but at least they are all under $100. The Scar was again given limited edition treatment with the release of an Easton Press, leather bound edition of 1000 copies, in 2002 copies are available priced round $250 and that seems a bit much! The final novel of the New Corbazon series was Iron Council, Macmillan, London, 2004 (Del Ray, Maryland, USA, 2004), complete the New Corbazon trilogy. There are 29 copies of the Macmillan edition available and all are under $100 including the 100 copy, slipcase limited edition, Macmillan, signed by the author. The Macmillan limited edition seems a steal at $88 and makes me question the pricing of Perdido Street Station, which seems overall, high. The Del Ray, Ballantine US first edition is also available for reasonable prices. Scar was again given limited edition treatment with the release of an Easton Press, leather bound edition of 1000 copies, in 2002 copies are available priced round $250 and that seems a bit much! 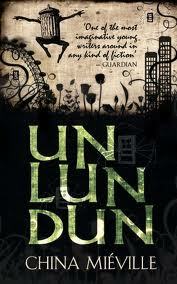 In 2007, Un Lun Dun, Macmillan, London (Del Rey, Ballantine, USA) was published, Miéville's fourth novel and first children's book. Surprisingly there are numerous copies available of both editions and the prices are very reasonable. In 2009, with the publication of The City and the City, Macmillan, London (Del Rey Ballantine, USA) marked Miéville's returned to adult fiction and the absurd. The supply of Macmillan and De Rey, first edition first printing is solid and generally reasonably priced. If there is upward price pressure it is due to two factors. First, Subterranean Press released a limited edition of 26 lettered copies, signed by the author and bound in blue leather. Second, as sometimes happens during the manufacturing process, a copy of the first edition, first printing was bound upside down and that copy, paired with a correct copy, signed by the author is being sold for $1700! I bet that pricing algorithms are setting the price for the first edition, first printing based on these two high spot anomalies. I guess, if you have the cash, splurge! 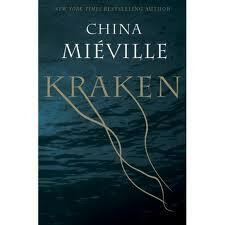 Miéville is an author that will become more and more collectible over time. He is testing his writing skill by experimenting with various genres and he also has publications in the non fiction and graphic novel arena. 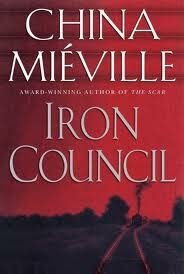 If you get hooked on Miéville, the novelist, you may desire a complete collection of all his writing. I'm starting now and hopefully, will at least, develop a complete collection of his novels before the prices get out of hand. Commissione of Doge Francesco Donato to Vincenzo Gritti as Lieutenant of Udine, 1546. leone andante, St. Vincent Ferrer, Latin inscription reading ‘I Francesco Donato, by the grace of God, Doge of Venice, etc’, putti raising the Gritti family arms, antique armor and trophies. Paint and gold paint on vellum, height 24 cm by width 17 cm by depth 4 cm (closed). Visits to rare book rooms at libraries, browsing the displays at book fairs and tours of museum exhibits of rare books are some of my favorite activities. I was thrilled to learn if this all too brief exhibit of 7 rare books, complete books, in their original bindings to be on display at the Isabella Stewart Gardner Museum in Boston, May 3-June 19, 2011, Illuminating the Serenissima: Books of the Republic of Venice. The seven books on display are truly one of a kind books created via commission to honor the election/appointment of the Doge, the ruler of Venice. The books, called, commissioni, were commissioned by the newly elected noble who would rule the Venetian Republic for a period of 16 months or to serve as lifelong administrators of the city of Venice. 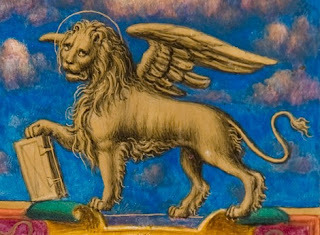 The commissioni were lavishly illustrated and represent a unique class of book, the Venetian Book. There are very few surviving complete examples of commissioni as most have been parted out for page by page profit. I'll report more on these once I visit the Museum, for now, only a head's up to all in or close to Boston, get thee to the Gardner!